Derek Fisher Is Out. 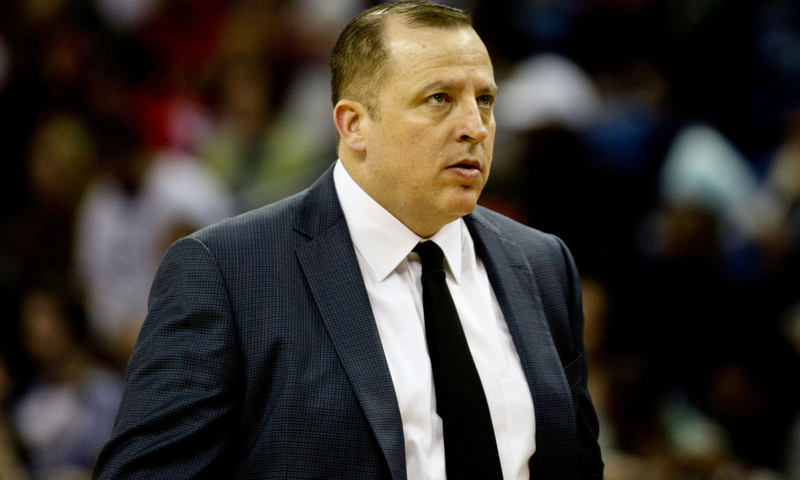 Is Tom Thibodeau The Answer In New York? The New York Knicks are in Year Two of their rebuilding project. Derek Fisher was picked to preside over this project last season and it was evident they were trying to be as bad as possible once Carmelo Anthony went down to injury. The team tanked and ended up getting the third pick in the draft, which turned out to be forward Kristaps Porzingis (which many expected to be a project). The addition of Porzingis, the free agents the Knicks added and the return of Carmelo Anthony had some thinking the Knicks could make the playoffs. But the Knicks, even though they have shown improvement, don’t look like they will be making the playoffs again this season either. The Knicks are currently 23-31, good for 12th in the NBA’s Eastern Conference. And after starting 20-20, the team is now 23-31, including losing nine of their last ten games. Needless to say, the organization was not happy with the recent outcomes and the slow starts as well. So with that dissatisfaction, the Knicks made a move. New York fired head coach Derek Fisher on Monday, replacing him with interim head coach Kurt Rambis. And with that move, the Knicks move forward. Fisher was following in the footsteps of Jason Kidd when he went from playing straight to being a head coach. With Phil as his mentor and the relationship they built when Phil coached Derek, there was some thought that the pairing would work well together. But apparently the relationship was not strong enough to overcome the recent struggles. It seemed like the team got off to a pretty good start and then inexplicably started inconsistent play. The intensity that was there before just was not the same. And it was not just noticeable to the fans of the team, but to the organization. But not only was the play not the same, neither was the coaching. There have been many questionable decisions that Fisher has made in terms of playing time, situational substitutions and timeout management that have made some cringe. Of course, he has never been a coach before at any level, so he is learning on the job. But even in knowing that, Fisher still seemed to not learn from some of the mistakes he was making. And with that, it became increasingly frustrating for some to watch their team consistently not make it happen when given the opportunities to do so. So with that happening, the Knicks had to make a move. The team’s future being led by Fisher was going nowhere fast. And now it seems like he may have been the coach that was sacrificed before any type of success happens for the Knicks again. Kurt Rambis is the current replacement, but many feel the interim head coach is just holding the position for someone else. There has been one prominent name mentioned after Fisher was fired and that name is former Chicago Bulls head coach Tom Thibodeau. 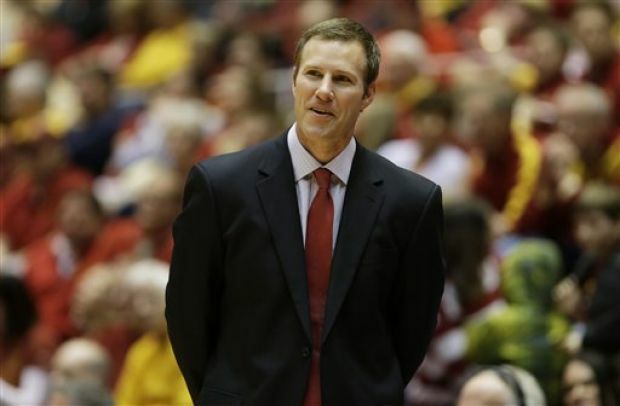 The long-time assistant coach in the NBA got his big break when becoming the head coach of the Chicago Bulls in 2010. Thibs, as he is called by many that played for him, was a solid coach in the NBA and got the most out of his players in the Chicago. But unfortunately, he and management in Chicago could not get along and he was released from his job there this past offseason. 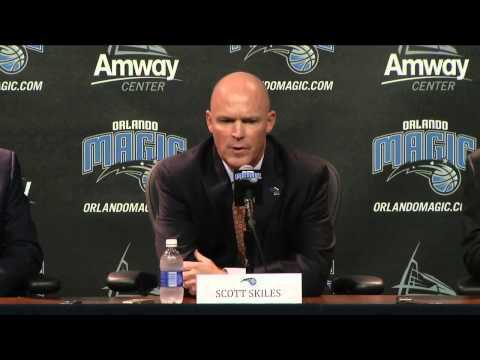 Some thought he would have gotten another NBA coaching job just as quick as he got fired, but that was not the case. Instead, Thibodeau took some time off and examined the coaching scene. And with the job opening coming up in New York, there has been some talk that Thibs is interested. There are reports out there that he has always wanted to be the head coach of the New York Knicks. And with who all is available out there, who is more qualified for the job than Thibodeau? He took the Chicago Bulls to the Eastern Conference Finals in his first year, was the fastest coach in NBA history to 100 victories and also was able to help the Bulls survive the loss of point guard Derrick Rose year after year and still have them be successful. Thibodeau is a tireless worker and has been known to get the best out of his teams. But how does he fit in New York? Thibodeau has been known as a great defensive coach. He was the mastermind behind the defense in Boston during their resurgence with Ray Allen, Paul Pierce and Kevin Garnett back in 2007-2008. If he is hired as the coach of the Knicks, defense is one aspect that will be better. And for Carmelo Anthony, it will probably be the hardest he has been asked to work defensively. The Knicks and their effort on that end will not be compromised and Thibodeau will make sure of that. And with Porzingis there on the team, it will be scary how good a defender he could make the 7’3” rookie forward. But for as much as he could help the defense, Thibodeau would not help them offensively. For his entire time in Chicago, he was criticized time and time again about his offense. Even when he had Derrick Rose, the offense was deemed unimaginative and rudimentary by many. And the lack of diversity in the offense led to the Bulls being one of the worst offensive teams in the NBA for much of his time there in Chicago. With that knowledge being known, the Knicks would be an even uglier mess offensively with Thibodeau there as the head coach. The Knicks currently sit as one of the worst offenses in efficiency and points per game over the last two seasons. With a star player that isn’t exactly the picture of efficiency and Thibs not exactly known to have much movement in his offense, the Knicks would be an eyesore on the offensive end. And in this day and time in the NBA, you have to score to win. 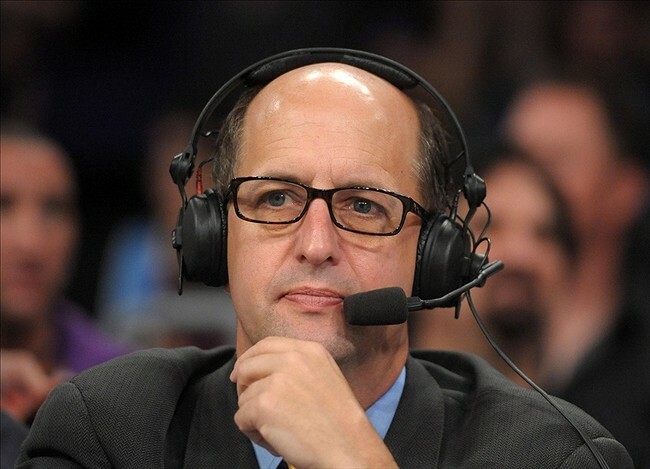 The days of Jeff Van Gundy having a physical defensive team win games in New York is over. Bringing Thibs there would be flashing back to that time in Knicks basketball with even less offensive talent. The Knicks knew they had gone as far as they could with Fisher as the head coach. It was apparent when they lost nine of their last ten and the team looked like they had lost their direction. But in hiring the next head coach, Phil Jackson has to know this could be a job-defining move. If he hired Thibodeau, then he is hiring a fierce competitor as a head coach that will not allow anything but the best effort every night. But on the flipside, Thibs is not the guy to help them be better offensively. He may be a better head coach than Fisher, but he is not the guy to give them what they need. And imagine Thibodeau trying to run the Triangle offense in New York without really knowing it. If he has to do that, then you could really have an offensive mess on your hands. Derrick Rose was once the toast of the city. He was the hometown boy making good and leading this Bulls team back to the top of the NBA’s Eastern Conference. But after leading the Bulls to the Eastern Conference Finals in 2011, there has been a steady fall in his play. Of course injuries led to a good portion of that fall, but he just has not been able to reach the same level he was before. 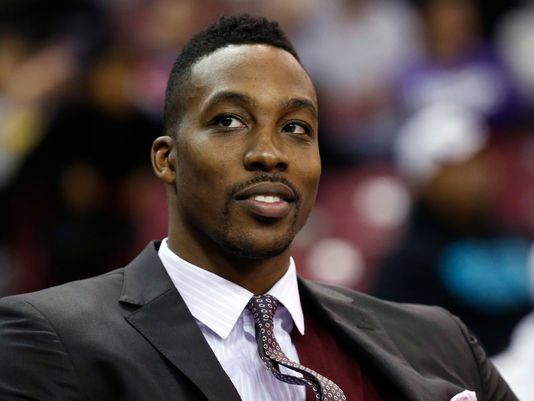 The team that he was once the leader of has become accustomed to playing without Rose while his various injuries have kept him on the sideline mostly during the past four seasons. One player that grew the most while Rose was injured was guard Jimmy Butler. The athletic swingman out of Marquette was seldom used in his first season. But as time has gone on, Butler has gotten better and better each year. Going into his contract season in 2014-2015, Butler took it up another notch. He averaged 20 points a game and was still the defensive stalwart that many were used to seeing. His play had him being mentioned as one of the top two-way players in the NBA. All while Butler was rising, Rose was still trying to get it figured out once again. He was making things happen on an inconsistent level. Sure, he had some games where he looked spectacular and then he had others where he looked like he was laboring. The toll of the injuries just looked like they had worn on his body. Despite some delaying on their part, the Bulls made the decision that signing Jimmy Butler to a five-year max contract was in their best interest. And he has shown that last year was not a fluke. Despite a change in system (the Bulls fired defensive-minded coach Tom Thibodeau for more offensive-minded Fred Hoiberg), Butler is still putting up similar numbers to last year. Consequently, Rose is still being the inconsistent player that he has been over the past few year. The glimpses of what he used to be are still there. But so are the times where he looks like he is laboring on the court. There used to be a time when Rose was considered the leader of this team. The Bulls level of success would ride or die on the shoulders of the hometown kid. But as time as went on, the dynamic has changed. Gone are the times when the Bulls are depending on Rose so much that they falter when he is inconsistent. 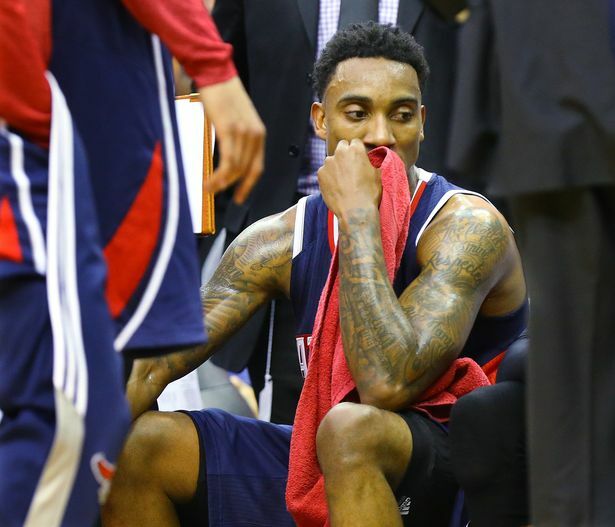 And just like those times have passed, so have Rose’s quiet leadership of the team. The change has been evident on the court all season: Jimmy Butler is now the leader of this team. Amazingly, no one really expected Jimmy to ever reach this level when he was drafted 30th in the 2011 NBA Draft. But through hard work and determination, he has made himself into the most indispensable player on this Bulls’ roster. And he has also become the guy the Bulls look to in the fourth quarter when closing out games. Gone are the days of leaning on Rose when the time comes to finish off a team. Derrick Rose has not come into a new chapter in his career. 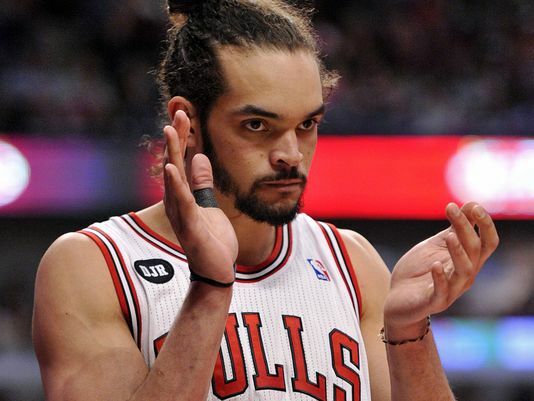 He is still one the highest-paid player on this Bulls team, but he is not the guy that leads them anymore. Unfortunately injuries took away from what he once was. In preseason practice, he suffered a broken orbital bone in practice that caused him to miss the preseason. He did not miss any regular season games, as he returned opening night wearing a mask. The result of the orbital bone fracture is double vision that he continues to battle every game. He recently shed the mask, but admitted that the double-vision is still there. But even with the injury, Rose’s role with this team was going to change. Gone are the days when things began and ended with his offense. Now he has to co-exist with another playmaker in his backcourt in Butler. And even he has probably realized that Jimmy is the focal point of this team. For virtually his entire career since Simeon high school, Rose has been the guy with the ball in his hands. With his current situation in Chicago, Rose now has to learn how to pick his spots. He will not be bringing the ball up the court or initiating the offense as he once used to all the time. Some of those responsibilities now fall on the shoulders of Jimmy Butler. But one thing that Rose can do with Butler as the focal point is work on his movement without the basketball. That is one part of the game Rose has never really had to work on coming up. The ball always used to be in his hands. If he is able to work on things like that when the ball is not in his hands, then it will make him a better player. It seems like yesterday when Rose was the man for the Bulls. Now that torch has been passed to Jimmy Butler. 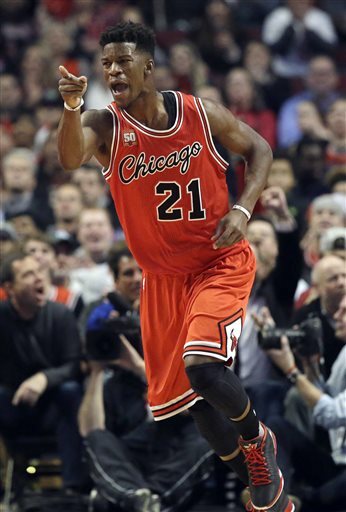 Butler is the one the Bulls follow. Rose is still an effective point guard, but the inconstancies and injuries have taken that time away. Now he has to accept that he will not be the focal point at all times. And if he is able to master that concept and pick his spots for this team, they will be better because of it. 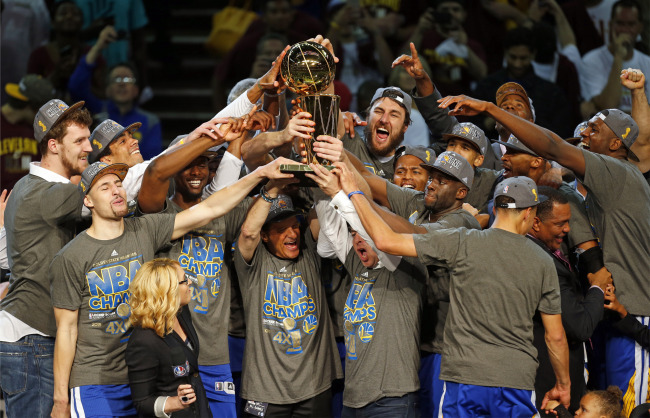 The NBA Finals are over in six games and the Golden State Warriors are now the NBA champions. They outplayed and outsmarted the Cleveland Cavaliers as they have won their first championship in 40 years. The Warriors were led by Steph Curry and Andre Iguodala, who had 50 points combined. And not to be outdone, Draymond Green rebounded from a tough stretch to start the series to post a triple-double in the finale. And just like that, they crushed all hope of the Cleveland Cavaliers as they were in total pretty much the entire game. When the Warriors won, it seemed like there was a sense of joy. No, not the joy from the people that hate LeBron James and want him to fail, but joy for a team that made it happen despite everyone counting them out. The Cavaliers were undermanned going into the Finals and had even more to overcome when Kyrie Irving was hurt in the first game of the series and did not play again. But that does not take away from the great accomplishments the Warriors had this season. And it is because of that, the 2014-2015 Golden State Warriors will go down as one of the best teams in NBA history. Now some may say that it is crazy to say they are one of the best teams of all-time, but with all that they have done and the unconventional way they have done so, it is rightful to put them up there with teams like the 72 win Chicago Bulls. Unlike the Chicago Bulls that season, the Warriors were not picked by many to win an NBA title. In fact, many thought the San Antonio Spurs would put it together again and make a run at repeating as a NBA champion for the first time. And when David Lee went down with a hamstring injury before the season and the Warriors put Draymond Green in the starting lineup, it was thought that their chances decreased even more in the eyes of some. There were many that said they were too small with Draymond at the power forward and that he would eventually get taken advantage of in the paint. Well, the opposite happened all season long. Going into a season where he could play himself into a big contract, Green became the ultimate mismatch on the offensive end of the court. He was only 6’7 (and many would argue that he isn’t even 6’7”), but he could finish inside because of his anticipation, touch and strength around the rim. But not only could he finish around the rim, but he could stretch the defense. Not many power forwards could take the rebound and dribble it up the court and hit open threes. Draymond could do that and more with his unique abilities. On the defensive end he more than held his own as well all year. He gave it his all each and every time he touched the court. And he also played bigger than many gave him credit for. He defended bigger players all year long and did not give up an inch, negating the supposed mismatch that he was put into on the defensive end. And in the NBA Finals, the lineup change the Warriors made put all those abilities on display. He was matched up against Tristian Thompson and Thompson was giving him problems on the defensive end on the boards. But as the series went on, Thompson was not as effective as he was on the glass. He still got his, but it was not at the clip it once was due to the effect of Green. And Green, to his credit, rebounded from a tough start to the series and became a huge piece to three straight wins and a title. Another thing that made many not believe in this team is their style of play. The Warriors were criticized all year long because of the Style of the Splash Brothers (me included). There were times that many thought they took shots that were awful and depended too much on the three-pointer. They did shoot some bad shots, but they made a lot more of them than they missed. And it was because of that, their shooting opened up the paint more and more as the season went on. But the common misconception about this team is that they are just an outside shooting team. That could not be further from the truth. The Golden State Warriors were also a team that took the ball to the basket. For example, they used backcuts and dribble penetration to setup easy finishes for their big men all years. Countless times you would see Festus Ezeli, Draymond Green or Andrew Bogut getting an easy dunk off of penetration from Steph Curry or Andre Iguodala. But that isn’t the only example of them attacking the rim. The growth of Klay Thompson as a playmaker and a rim attacker was something that has progressed over the years. 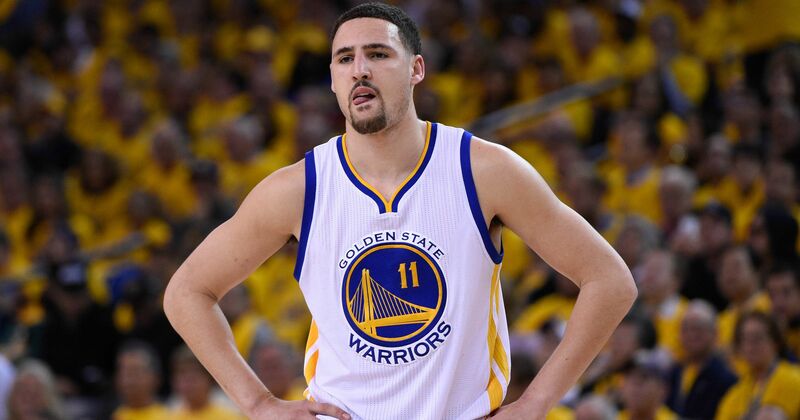 In the beginning of his professional career, Klay was more of a shooter. He was a one-dimensional player that only played on the offensive side of the floor. But as his career as gone on, he has made more of a concerted effort to take the ball to the basket. His first progression was being able to shoot off the dribble. Once he got that down, he began to get deeper and deeper into the defense, even attacking the rim while working on using his height to his advantage defensively. Fast forward to now and Klay Thompson is considered by many the best two-way shooting guard in the NBA because of how he has completed his offensive game and picked it up tremendously over time with his defense. In the NBA Finals, the growth of the team and the style they played was shown to the entire country. They shot the three-pointer pretty well for the series. But even when they did not do so, they used backcuts and also dribble penetration to breakdown Cleveland’s defense. The constant movement and timely shooting from the Warriors eventually wore Cleveland down, as they could not keep up. And because of that, the Warriors are now celebrating the NBA Championship. The Warriors started this season with a motto “Strength In Numbers”. As the season went on, many more people believed in them and they carried that on to the title. But what the Warriors exhibited to the world was more than about strength in numbers but mental strength in themselves. They believed in what they were doing and did not care what anyone else said about what they did. And it is because of that, they broke the mold on what exactly is needed to win a title. They did not have a guy to throw it inside to and get an easy bucket. They did not have the prototypical size, especially when they downsized their lineup. But what they did do is impose their will on any and everyone they faced on their way to the NBA title.